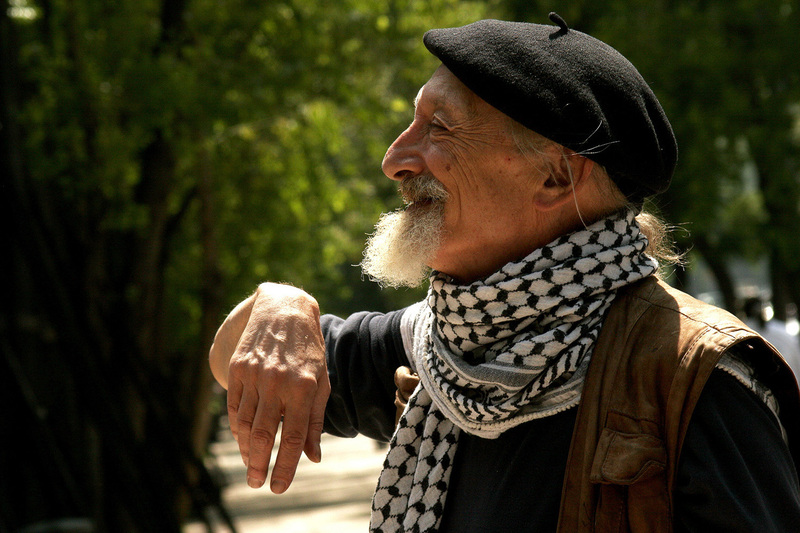 Journalist, investigative poet and social activist John Ross died peacefully today at Lake Pátzcuaro in Mexico, where he had lived on and off for the past 50 years. He was 72. The cause was liver cancer. A young generation Beat poet and the national award-winning author of 10 books of fiction and nonfiction and nine chapbooks of poetry, Ross received the American Book Award (1995) for “Rebellion from the Roots: Zapatista Uprising in Chiapas,” and the coveted Upton Sinclair Award (2005) for “Murdered By Capitalism: 150 Years of Life and Death on the American Left.” The first journalist to bring news of the indigenous Mexican Zapatista revolution to English-speaking readers, Ross was widely regarded as a “voice for those without a voice,” who stood with the poor and oppressed in his brilliantly stylized writing, suffering beatings and arrests during many nonviolent protests. An iconoclast who took every chance to afflict the comfortable and educate the public, in 2009 Ross turned down honors from the San Francisco Board of Supervisors, which had praised him for telling “stories nobody else could or would tell,” and as an organizer for tenants’ rights. In the chamber, Ross recalled an appearance before the Board 40 years before, when he was dragged from the same room for disturbing the peace. He blamed an “attack” by the San Francisco Police Department for the loss of his left eye. Ross told the Board, “Death was on our plate” when he went to Baghdad as a human shield during U.S. bombing, and again when he was beaten by Israeli settlers alongside Palestinian olive farmers. Born in New York City, Ross grew up amidst the pre-Civil Rights-era folk and jazz scene, influenced at an early age by the music of Charlie Parker, Dizzy Gillespie and Max Roach, and by legendary sports figures like the Harlem Globetrotters. He is survived by his sister, artist Susan Gardner; his children, Dante Ross and Carla Ross-Allen; one grandchild, Zoe Ross-Allen, and stepdaughter Dylan Melbourne and her daughter Honore. In addition to his popular accounts of Mexican life and politics, chronicled in the series “México Bárbaro” and “Blindman’s Buff,” Ross reported for the San Francisco Examiner, CounterPunch, the San Francisco Bay Guardian, Pacific News Service, Pacifica Radio, LA Weekly, Noticias Aliadas, La Jornada, Sierra magazine and many other print and radio organizations. In 2010, under treatment for liver cancer, he toured nationally with “El Monstruo: True Tales of Dread & Redemption in Mexico City,” already a cult classic, using a handheld magnifying glass to read his words before packed audiences. how to be a prisoner. Memorial services to be held in San Francisco, Mexico City, Humboldt County and New York City will be announced at a later date. NextCan You Balance the State Budget? I want to add some things about the Mission District phase of John’s life. Three months after arriving in San Francisco, and seeking a way, at age 20, to be involved in social change, I was referred to John Ross and met him in the Mission. John had clearly been around the block a few times, and appeared a bit larger than life. Seven months later, in August, 1967, John and I would be two of seven – “the Mission 7” – arrested on felony charges for battery on a police officer, that would keep us in and out of court for 20 months, and that caused one of us, Eric Johnson, to do over seven months in county jail. When Mission Station cops came to the Dolores St. flat where we were holding a fund-raising party for the San Francisco Draft Resistance Union, they showed up at nearly 1 AM, on the pretext of a noise complaint. Without a warrant, they forced their way in and shot mace, allegedly the first use of mace in San Francisco. This is when John, on the receiving end of a billy club, suffered his eye injury. It didn’t help either John or the rest of us that he was drunk and probably yelled at the cops. Was it coincidence that this happened 12 hours after some of the same people who were at the party were protesting incidents of police brutality in a picket line at the old Mission District Police Station on 23rd and Valencia? John had already gained notoriety in the Mission, as a militant organizer with the Mission Tenants’ Union. In a narrow office at 15th and Shotwell, bilingual meetings were held, preparing for actions against landlords. During the summer of ‘67, John Ross ran for Supervisor in a Mission District campaign that featured weekly Saturday bilingual rallies on Mission near 22nd. A megaphone transmitted the voices of John and others, with the messages of tenants’ rights, rent control, opposition to police brutality, opposition to the Viet Nam War, and open communism. John’s campaign was an organizing tool more than a serious effort to take office. This was the era before District Election of Supervisors, and a campaign limited to the Mission was unlikely to prevail in a city-wide contest. Moreover, it turned out that John hadn’t been a resident sufficiently long to be a legal candidate, so little red stickers with his name were circulated to be used to “write-in” Ross’ name. John Ross – brilliant, idiosyncratic, flawed; he was both egotistical and relentless in his advocacy for the poor and oppressed. John Ross’s clear and passionate reporting and his poetry will be missed. The group was a small gathering of 40-50 year olds, looking very conservative in their attire and outlook. This national group, Accuracy in Media (AIM), led by chief-fat-cat Reed Irvine suspiciously dressed in a tailored three piece suit and looking rather out of place, was here not only to collect his hefty salary and per diem expenses but to present the premise: setting the record straight on important news and media issues that have received, in their view, biased and slanted coverage. Mr. Irvine and AIM called onto citizens to contact newsmakers, reporters and news corporations to end perceived and deliberate liberal media bias, giving a few examples. A voice from the back of the room immediately questioned their intent and agenda. “Who are you, Pilgrim?” Mr. Reed asked. “I’m John Ross,” the voice answered. “I’m an Investigative Poet and Journalist!” came the reply. “Oh, do you write Letters to the Editor, Pilgrim?” Mr. Reed condescendingly asked. His voice firm and thundering, John laid down his qualifications. Without missing a beat, he then thoroughly peppered AIMs connections to its own bias and slants in the media, questioned their funding from right wing conservative groups ranging from the Republican Party to John Birchers, having unfavorable editors fired and forced retractions made, and AIM’s deliberate role in massacre cover-ups in El Salvador and other incidents leading all the way up the ranks to the Reagan Administration. All the while barely coming up for air. John Ross unequivocally knew his details, facts, people and questions… and his direction. His tempo was spot on, too. This was not going well for AIM. In fact, it was teetering quite sideways on its lone wobbly wheel. Like a train wreck, AIM’s meeting came to a grinding and spectacular halt. Mr. Irvine was at a flabbergasting loss to shut Mr. Ross, Investigative Journalist, up. John continued until Mr. Irvine finally threw down his last ace card in desperate exasperation. Uh-oh. Here’s a fine test of democracy, I thought; something bad’s gonna happen and that wobbly wheel fell off long ago. The campus police came all right. Pronto. They stood by and refused to arrest Mr. Ross once both sides were aired and explained; or more precisely, vociferously argued and yelled over. AIM and Mr. Reed, his three piece suit and his supporters, promptly packed up and left town unceremoniously indignant and bewildered. They’ve never returned. After that kind of welcome, would you? Pleasantly amazed and shocked over this drama unfolding before my very eyes and ears, Mr. Ross stood up for a righteous and just cause; he wasn’t merely our local Humboldt poet-journalist, he was a complete fire-breathing dragon that roared– as thin and diminutive as he initially appeared. At that moment I knew Arcata was a very special and unique place– and this wouldn’t be the last we’d hear of Mr. John Ross, author, activist, agitator, reporter, investigative poet and journalist. Rest in peace, my friend. Many owe much to you.